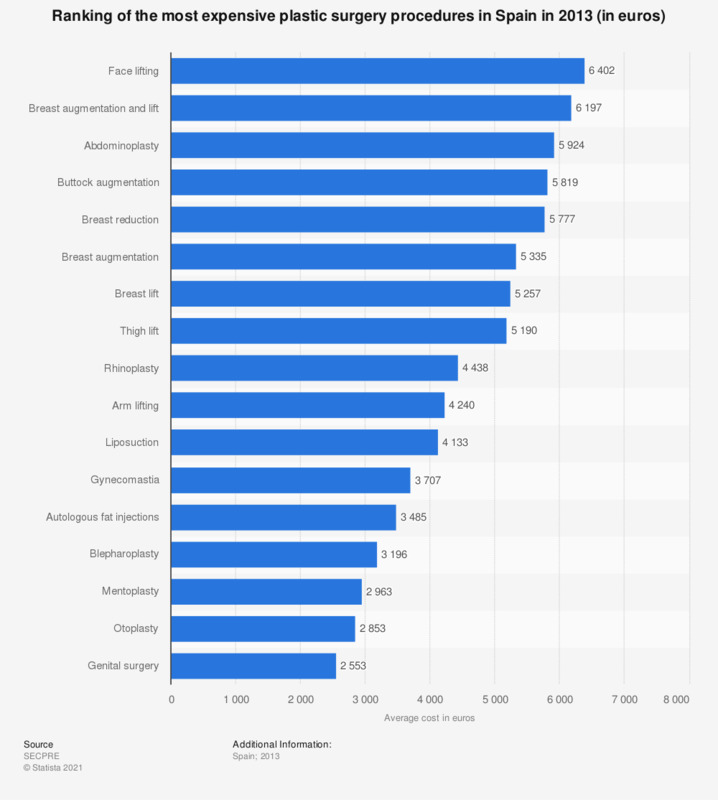 This statistic displays a ranking of the most expensive plastic surgery procedures in Spain in 2013. In that year, the most expensive plastic surgery procedure in Spain was the face lifting. Which cosmetic surgery procedures or treatments would you be interested in if money was not an issue?